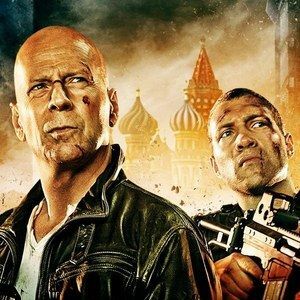 A Good Day to Die Hard Photos Offer a First Look at the Bad Guys! We have been provided with a new batch of photos from the set of A Good Day to Die Hard, currently shooting in Budapest, Hungary. Although franchise star Bruce Willis is nowhere to be found, these pics do give us a look at today's shoot on a helipad. Might these be the bad guys that John McClane is chasing? We're not completely sure, but they sure do look menacing and have plenty of firepower at their disposal, along with a fully armed helicopter. Take a look at these new shots from the upcoming action sequel.